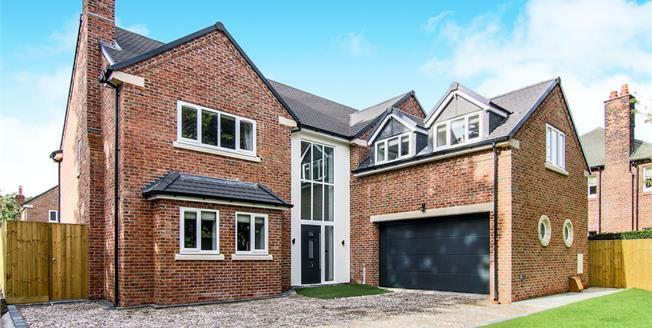 Clive Watkin Partnership are delighted to bring to the market this magnificent modern home by 'Dunard Development' which consists of three elegant five bedroom detached homes. Each property is designed to an exceptional standard throughout and offers generous and versatile accommodation over two floors. Luxury has been considered carefully by the developers when choosing their specification throughout the development. The accommodation provides; a stunning kitchen that runs the full width of the rear of the house (fitted with a high calibre of fixture and fittings) family dining area which opens out onto the garden boasting the ultimate indoor and outdoor open plan living. In brief the accommodation comprises; entrance hall, lounge, kitchen/diner/family room, utility room, office, W.C, double garage with electric overhead door, landing, family bathroom and five double bedrooms with the master and second bedroom each benefitting from en-suite facilities. Dunard Development is a gated enclave of three properties and is located on one the most prestigious residential areas in Noctorum. We would highly recommend a viewing of this development to truly appreciate the size and quality of the accommodation available. The area boasts good schooling including the well respected 'Birkenhead School' and 'St Anselms' school, they are both known for their academic and sporting achievements and standards. Wirral Golf Club is also close by. Vyner Road South offers excellent road links and public transport routes which are perfect for those who commute to Liverpool, North Wales and Chester. Oxton Village is a short distance and offers an array of stylish restaurants, wine bars and shops.